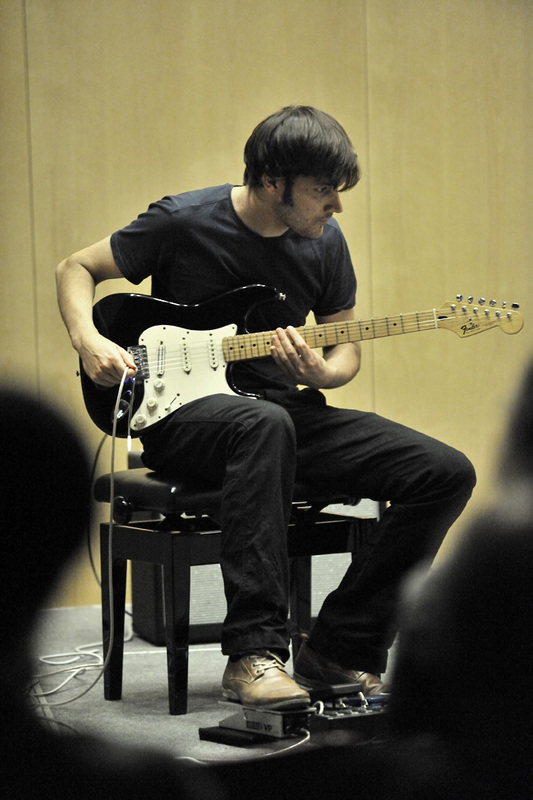 Steffen Ahrens studied guitar in Hannover and Frankfurt with Prof. Hans-Michael Koch and Prof. Christopher Brandt. Further studies with Prof. Olaf Van Gonnissen in Darmstadt. He received a scholarship by the Friedrich-Ebert-Stiftung. Besides the traditional guitar repertoire, his focus lays on contemporary music. He played as a soloist, with orchestra and ensemble, pieces by e.g. Lachenmann, Webern, Furrer, Donatoni, Neuwirth, Cage, Crumb, Strawinsky, Romitelli a.o. As a guest he played with the State Symphony Orchestra Lithuania, Nationalorchestra Mannheim, State Symphony Orchestra Oldenburg, chamber ensemble of the Symphony Orchestra Wiesbaden, Badische Philharmonie, Ensemble Modern, ostravská banda (czech republic), oh-ton ensemble, e-mex ensemble, ensemble garage, mam.manufaktur für aktuelle musik, Mutare Ensemble. Radio- and TV broadcasts such as Deutschlandfunk Kultur, SWR and Radio Bremen. Since 2011 he is member of the oh-ton ensemble. He co-founded also the duo "leise dröhnung" (with Niklas Seidl on cello) which is about to play various concerts with traditional repertoire and premieres by young composers. As electric guitar player he played in various bands e.g. Veras Kabinett, Youdid, Maxi Menot and the Cover Band Big in Japan. He graduated from the course of studies "Pop Music" in Hamburg 2005 and received lessons from Prof. Peter Weihe, Prof. Michael Sagmeister, T.B. Mönkemeyer, Thorsten Plath, Viktor Smolski und Markus Deml. He played the musical "Les Misérables" several times at the Theater des Westens (Berlin) and at the Theatre Pforzheim. As a soloist his goal is to present programs which are more than just spanish guitar music. Either through integration of 20th/21th century pieces or through integration of the electric guitar as solo instrument in contemporary music.